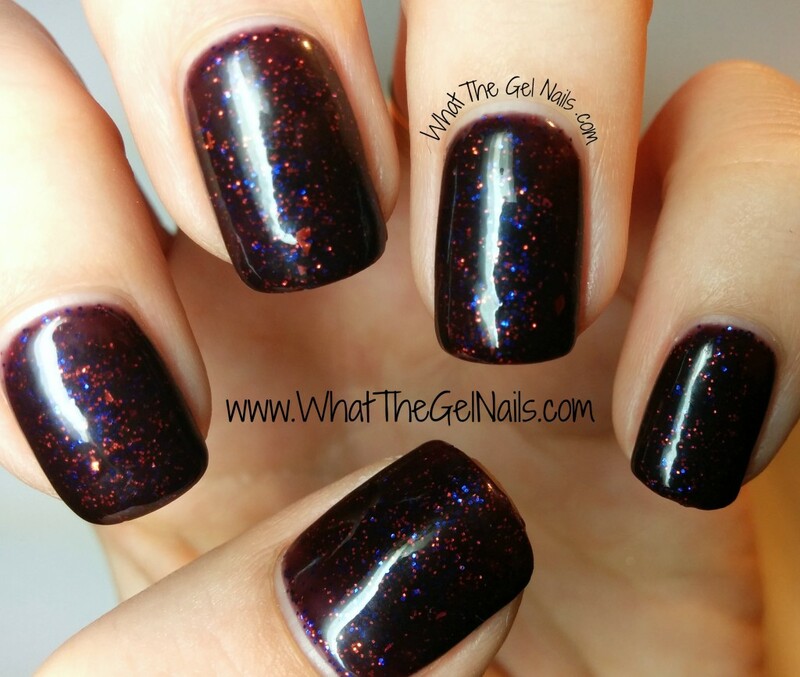 Midnight Martinis has a sheer, dark purple base with lots of red and blue glitter. It also has some red flakies scattered throughout, but there’s not as much as the glitter. 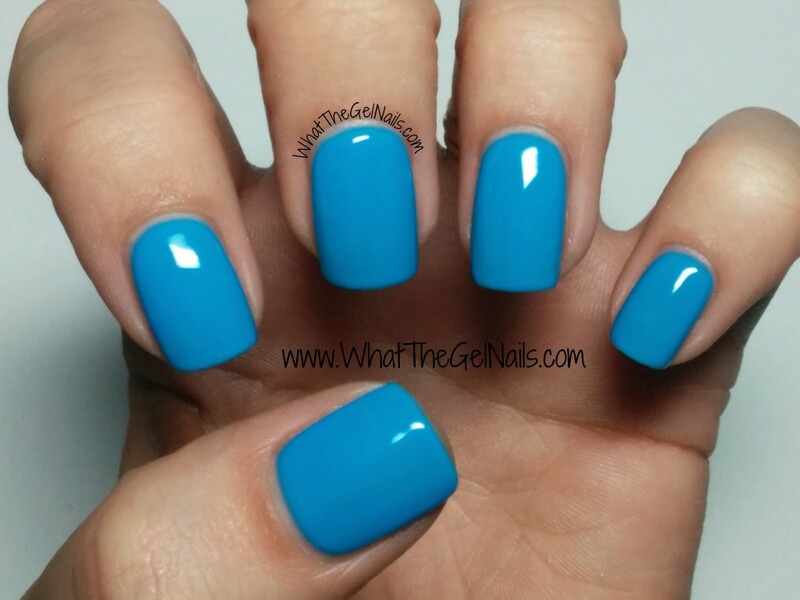 This color is amazing! 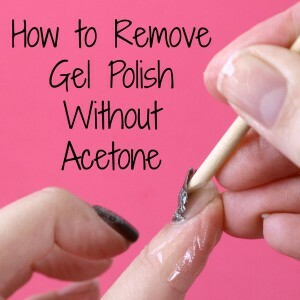 It took 4 thin coats for full coverage because of the sheer base, but if you don’t mind a sheer look to your manicure, then 2-3 coats would work great. 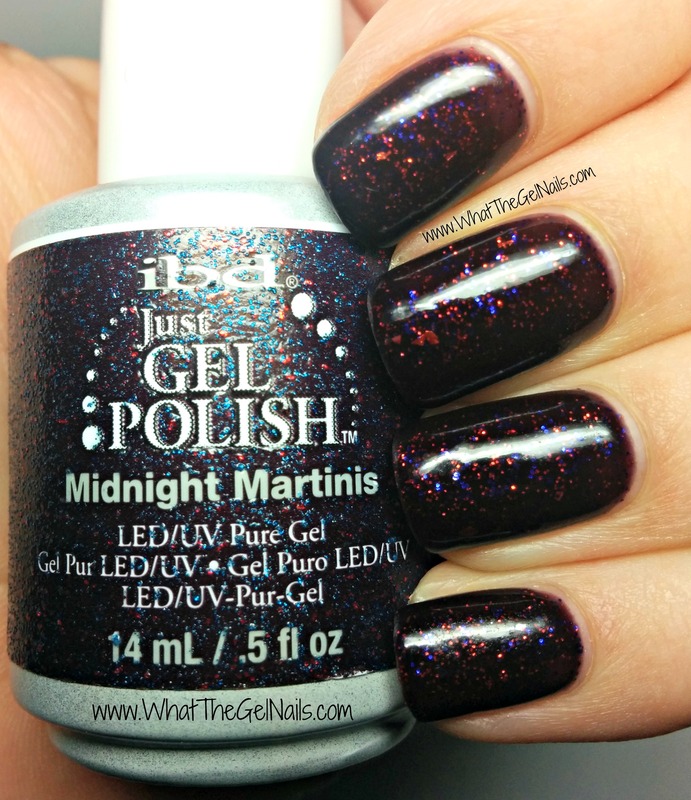 The base color of Midnight Martinis is beautiful, but it’s really the glitter that makes it. The glitter is beautiful, perfectly dense, and add so much depth to this color. It is awesome and so perfect for winter. 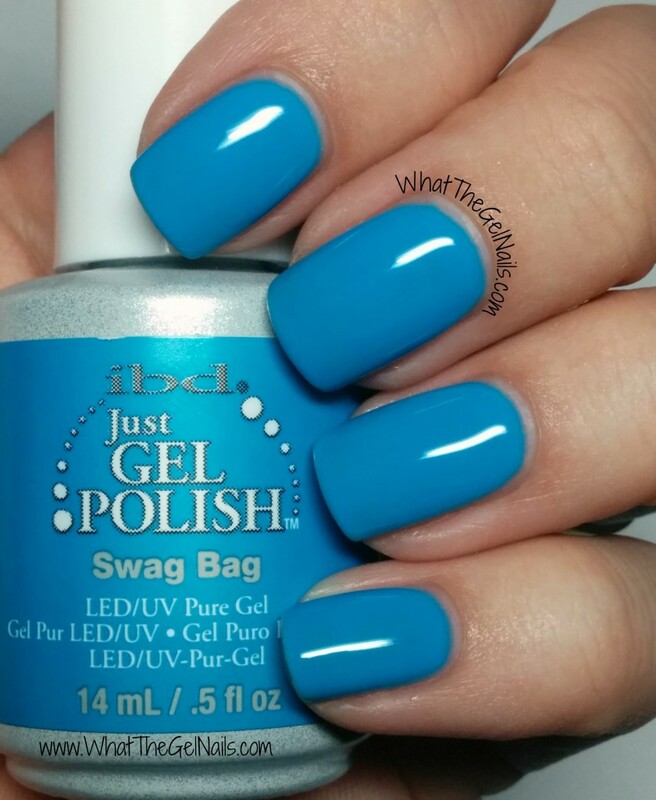 If you are not one for dark colors in the winter, then swag bag is a great color to wear. It’s blue and would look amazing with snowflakes over it. 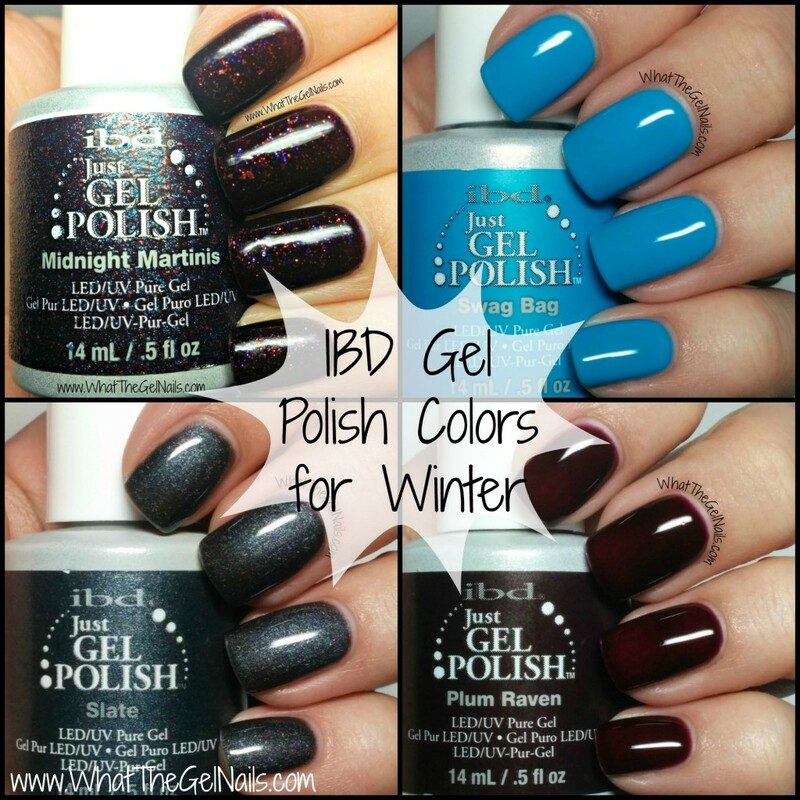 I can’t wait to wear it with IBD Polar Sky over it so it looks like a winter snowstorm on my nails. This took 3 coats plus a thin 4th coat. In my head, I call this tropical skittles blue. I think it’s great for winter, but it’s also perfect for summer. I’ve said it once and I’ll say it again. IBD knows how to do shimmers! 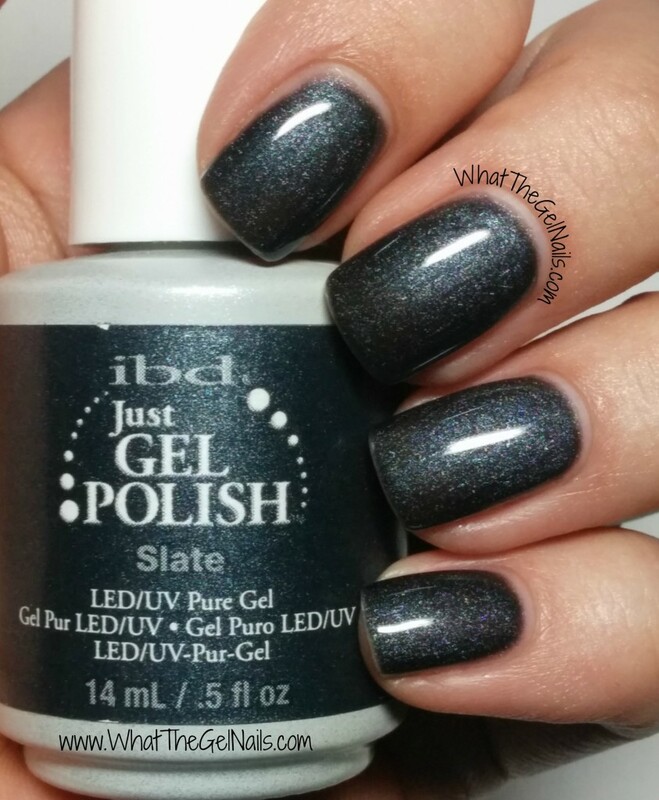 Slate is a gorgeous dark gray shimmer. The shimmer is multi-colored and gives a lot of depth to the color. 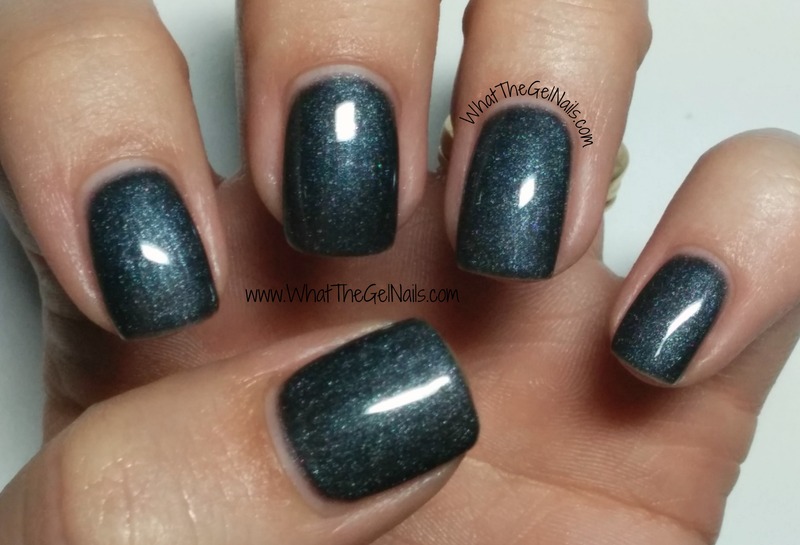 It mostly just looks like dark gray with a lighter gray shimmer, but if you look really closely you will see blue and purple in the shimmer, too, and the effect is breathtaking. 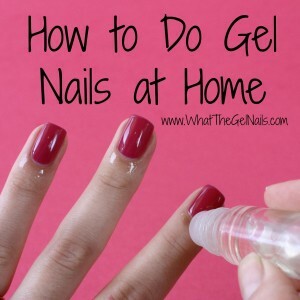 I did 3 coats and a thin 4th coat. 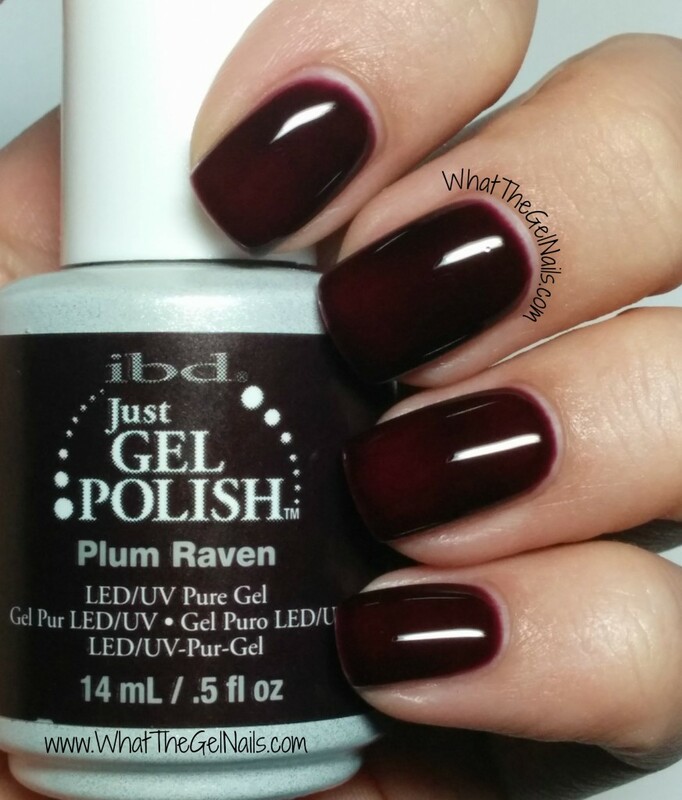 Plum Raven is a pretty popular IBD color and you can definitely see why. 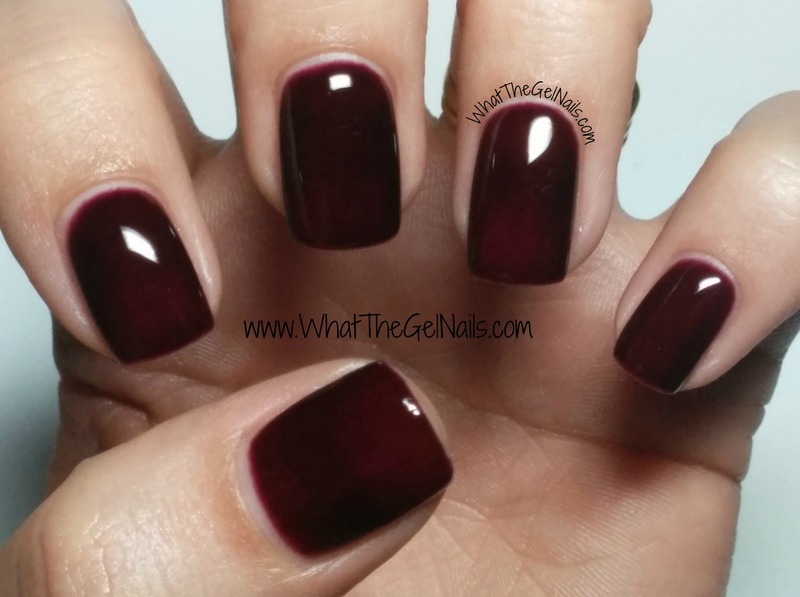 It’s a beautiful dark, dark red that has an almost purple undertone. It is a jelly so it’s a little hard to get the opacity that I like. I did 4 coats and you can see that the color still isn’t completely even. 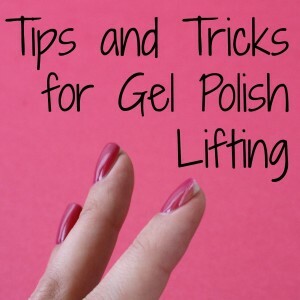 Still, this polish is very thin so 4 coats really doesn’t feel thick at all. This is great if you love dark colors, but want to try something different than just black.